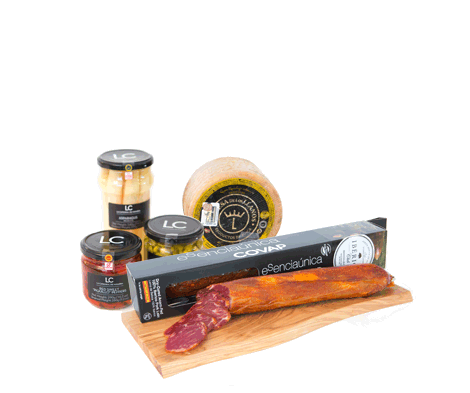 We carefully select and import only the finest Jamón Ibérico de Bellota “Pata Negra” and other artisan gourmet delicacies from Spain, and deliver them anywhere in the United States in 1-3 days. 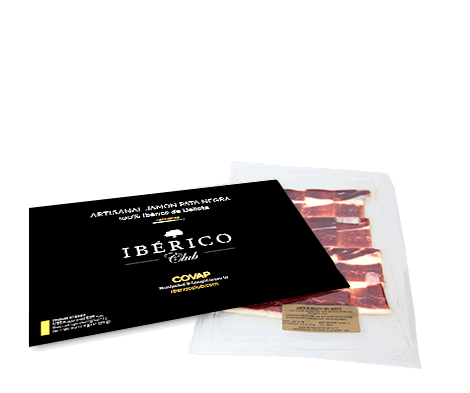 When you’re looking for an artisanal delicacy unlike any other, with complex, intense flavors, a sweet, unique taste and melt in your mouth tenderness, you’re looking for Jamón 100% Ibérico de Bellota. 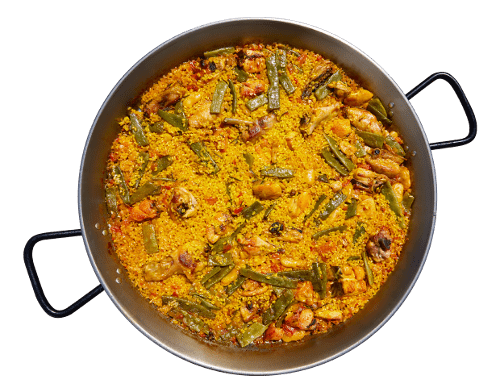 An exclusive animal, the Ibérico pig is bred in the beautiful Andalusia region of Spain and accounts for just .01% of all pigs. These Pata Negra or black hoofed pigs are slightly larger than other pigs, with a pointed snout, short black hair and a fine bone structure. Acorn-fed on the delicious acorns that fall in the dehesa forest, this is an artisanal product unlike any other. Its meat has a complex flavor, with sweet and salty notes, a silky mouth-feel and an aroma of the acorns the pigs enjoy. The interlaced layers of fat and lean, along with a dark red color, tiny white crystals of protein, and a creamy rim of ivory fat, produce a satisfying and remarkable delicacy that’s a treat for any gourmet connoisseur. In the gorgeous Andalusia region of Spain, you’ll find the ancient and magical city of Córdoba. With a rich history, complex culture, and wide-open spaces in the largest dehesa forests in Europe, along with an ideal climate and atmosphere, this is the perfect place to raise the most delicious pork on the planet — and the only hams in the United States with Protected Denomination of Origin Los Pedroches from the Córdoba region. This gives them a greater percentage of unsaturated fat, and a cholesterol count that’s lower than many types of lean meat, including chicken and turkey.All of our pigs are raised humanely, without antibiotics, GMOs, hormones, or artificial enhancements. With plenty of room to roam and an abundant diet, our Pata Negra live a stress-free life, resulting in a sumptuous flavor that delights all of the senses. Each Jamón Ibérico de Bellota is meticulously selected by our Maestro Jamonero (Master Ham-Maker) to ensure that only the best make it to our customers. We start by choosing the top Jamones (hams) from the back legs of the pig and Paletillas (Shoulder hams) from the front legs. Each piece then has it’s skin and some fat removed to help the ham breathe during the curing process. After that, the curing begins. To properly cure a Jamón Ibérico, the pieces are submerged in salt to help preserve the meat. The salt is then rinsed off and the pieces are put in a refrigerated chamber for 60 to 90 days. This allows the salt to distribute itself evenly and gives the meat a chance to dehydrate and preserve. The temperature and humidity are rigorously monitored and increased over time. When they reach their ideal temperature and humidity level, they are removed from the chambers and dried in a natural curing cellar called a “bodega.” This process can take anywhere from six months to a year and allows our ham to achieve an ideal texture, smell, cure, and flavor. After that, the pieces are hung in the curing cellar to age until the Maestro Jamonero decides the time is right. This process is slow and methodical, and can take up to four years to complete. 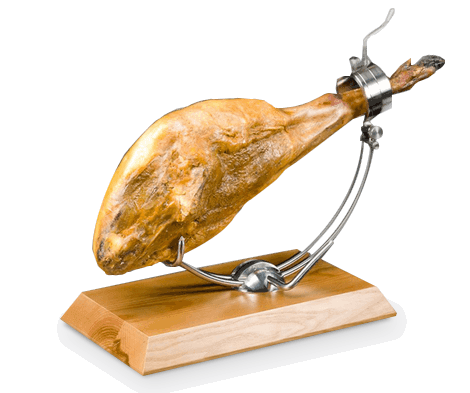 Our Maestro Jamonero oversees every step of the way, following an age-old tradition that ensures every ham we produce lives up to our standards. After all, we are making the best ham in the world. At Ibérico Club, only the best Jamón Ibérico de Bellota will do. Once our hams have been cured, our Maestro Jamonero uses his experience and senses to hand pick the most exceptional jamón selection. He does this by touching the different parts of the ham to determine the quality and degree to which its been cured, looking over the ham to check the color to determine the proportion of fat, and by inserting a “cala” or small beef bone, into different areas of the ham to allow him to check the aromas throughout the ham. The only sense we don’t use is taste – that’s reserved entirely for your enjoyment.